We purchased this toy for our son when he was learning to walk (at 9 months of age) and now he’s 15 months old and still loves it. It’s his favorite toy of all. He pushes it, pulls it, bangs the floor with it, chases the cats with it, gives it to me to push while he watches the “popcorn” pop and even this morning he was sliding it on the dome instead of on it’s wheels. 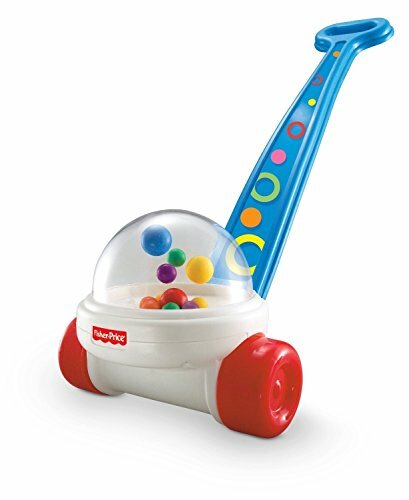 YES, it is noisy and it’s not fun to have in the background while trying to talk on the phone, but it keeps a busy toddler happy! I wouldn’t recommend it as a “learning to walk” toy because it’s not 100% stable but for someone who is stable already, I’d highly recommend it!